Going east along Teramachidori Street and crossing Takumibori, there is a temple covered with full of green woods, it is called Choshozenji on the signboard in front of its gate. The title Sango of it is Enjozan and it belongs to Daitokuji school of Rinzai Sect in Buddhism. 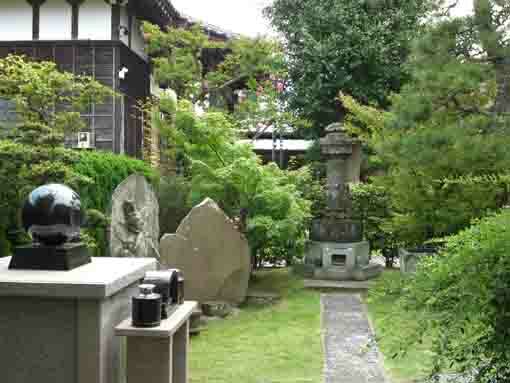 Its principle image, the statue of Yakushi Nyorai is said to be carved by the Prince Shotoku. 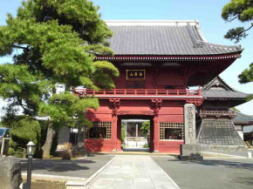 Through the gate, some stone tablets and statues of Buddha standing along the approach to the main hall, there is a hexagonal stone pillar called 'Rokumen Rokujizo' standing on the corner of the approach to protect the temple against evils since the gate opens to an unlucky direction. And there had been Siogama Myojin Shrine (a guardian deity of the salt industry) in the temple. The name 'Enjozan' that means 'salt pan' implies that many people working at the salt pan would worship this old temple in Edo period. 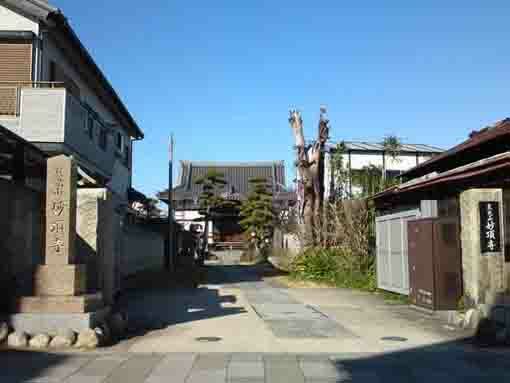 This tells the history of Gyotoku that it was very flourished with the salt industry. 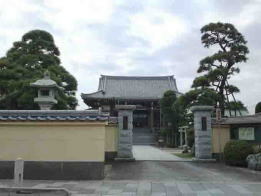 Moreover, Enjozan Choshoji Temple is the 3rd temple of the 33 pilgrimage in Gyotoku and Urayasu. 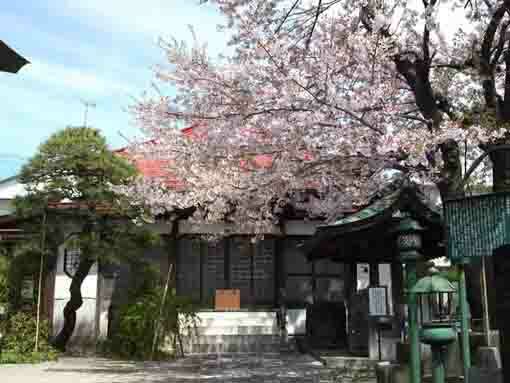 Why don't you visit Enjozan Choshoji Temple? 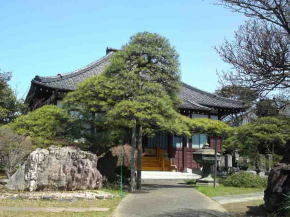 Enjozan Choshozenji is belonged to Daitokuji School of Rinzaishu Sect. 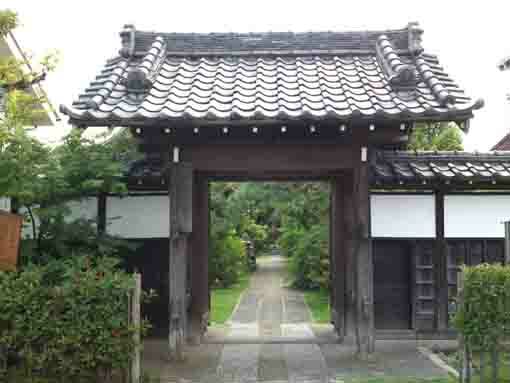 During Tenbun era (1532-1555) in late Sengoku period, it was built by Shigeyuki Matsubara Awaji no Kami who was a vassal of Hojo Family in Odawara. In those days, there were many salt spans around it, then it was named 'Enjozan' (salt pans) after them. The principle image of Enjozan Choshoji Temple is the statue of Yakushi Nyorai that the workers at the salt pans worshipped deeply. Osegakie (a mass for lost souls) is held at August annually. 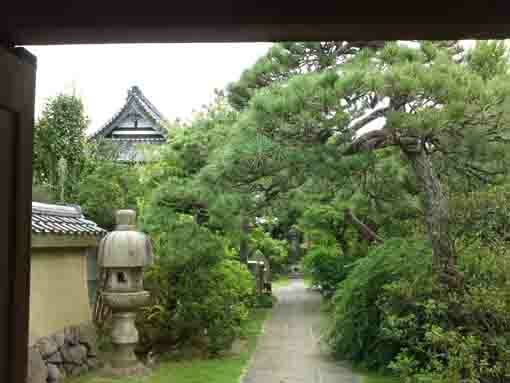 The temple is covered with full of green trees, so visitors could enjoy seasonal plants. 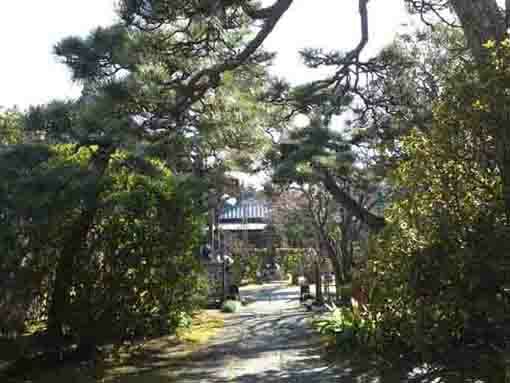 Choshozenji Temple is the 3rd temple of the 33 pilgrimage in Gyotoku and Urayasu. 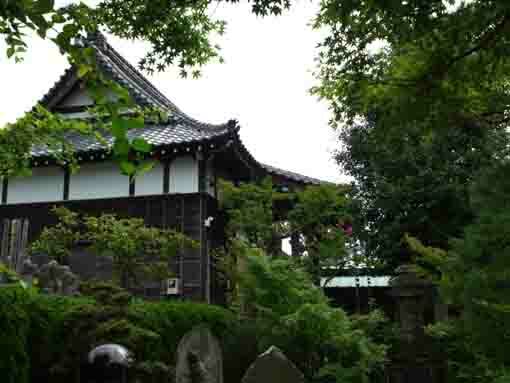 Choshoji Temple has a great accessibility from both Narita and Haneda International Airport.